Two months' vacation passed as fast as an arrow. 2개월 동안의 방학이 빨리 지나갔다. After the fourth class, we ate lunch. 4교시 후에 우리는 점심을 먹었다. All of my classes were finished at half past five. The question is asked in the examination. I went to school at 8 o'clock. I met a friend of mine on the way to school. 나는 등교 길에 친구를 만났다. I'm a high school student in the top 2 percent of my class. 나는 반에서 상위 2퍼센트에 드는 고등학생 입니다. I like math because it’s interesting for me. 나는 수학이 재미있기 때문에 수학을 좋아한다. I crammed for the examination. I was poor in English, and so I went to an English institute. 나는 영어 실력이 부족해서 학원에 다녔다. I ran into my classmate in front of ther door. 나는 우연히 문앞에서 반친구를 만났다. I like lunch time best. I made a promise to meet in front of our school at 1 o'clock. 나는 친구들과 학교 교문에서 1시까지 만나기로 약속을 했다. I tried to improve my ability to speak English while listening to the tapes. 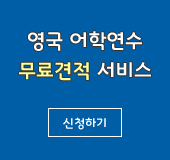 나는 테이프를 들으면서 영어회화를 공부했다. I am preparing for transference to a four-year college.